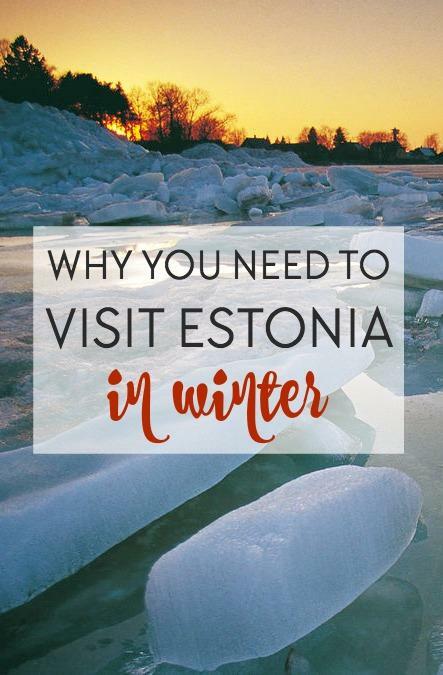 I’ve already talked about some of my top picks for winter destinations this year, but I left out one place because I was writing so much about it that I realized it deserved its own post: Estonia. So like, I’ve known for a while that I need to return to Estonia to see the countryside. 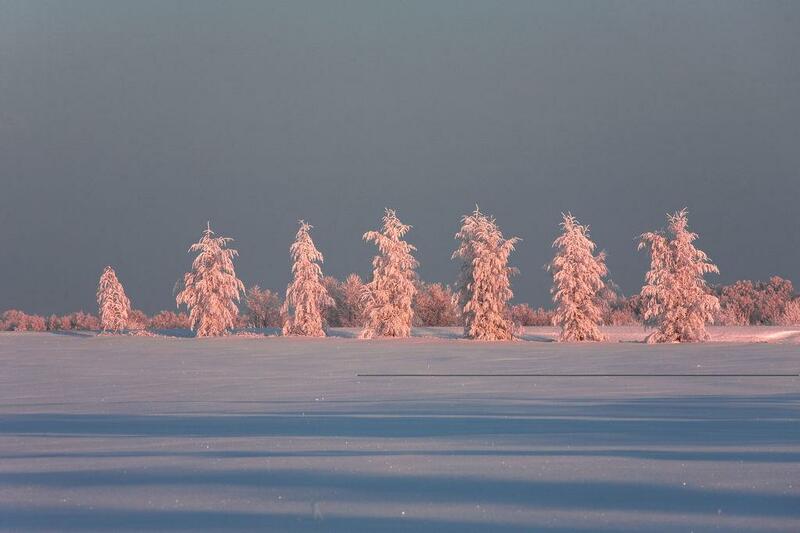 But it wasn’t until moving to Rauland that I added Estonia to my winter bucket list. And in a way that’s totally weird, because Rauland is a winter wonderland ripped from one of those glitter covered Christmas books, so why would it make me want to go to the Baltics of all places? But something that I’ve found Estonians and Norwegians to have in common – and something that I love about each culture – is their deep appreciation for nature. Like, I’m a big fan of the outdoors, but I feel like for them getting out in nature is almost a spiritual experience. 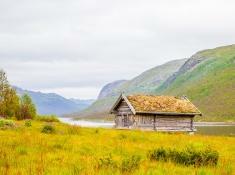 I love that Norwegians can generally afford whatever luxury they want, yet most will happily pack up their hiking boots and some hot dogs to spend their free time at a cabin in the middle of nowhere, often with no electricity or running water. And they think it’s the best thing ever! In a similar vein, Estonia is one of the world’s most digitally advanced countries (um, U.S., can you please let Estonia teach you how to hold elections online?) with a 99.8% literacy rate, yet all Estonians ever seem to want to talk about is their country’s beautiful lakes, forests, and islands. 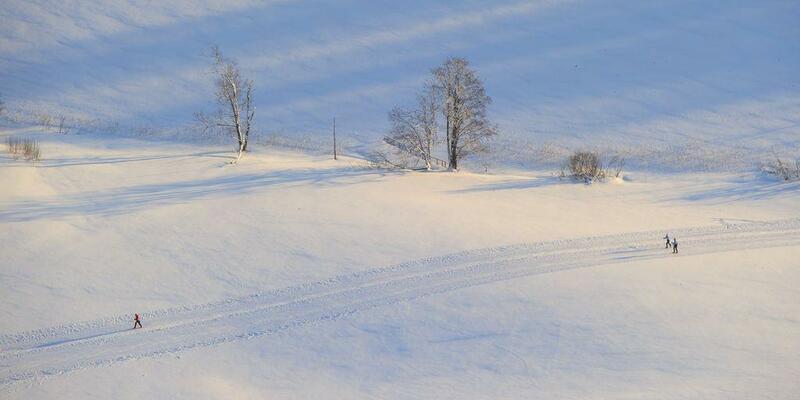 Of course Norway is an amazing place to cross-country ski, but Estonia has it beat in one respect: it’s flat! I actually hadn’t realized that Estonia is a popular cross-country ski destination until I was complaining to a Lithuanian girl at work about how scary it is to ski down steep hills. I need to head to the Baltics instead! Estonia has over 2000 islands, and you know how they’re all connected? By ice! Well, at least in the winter. 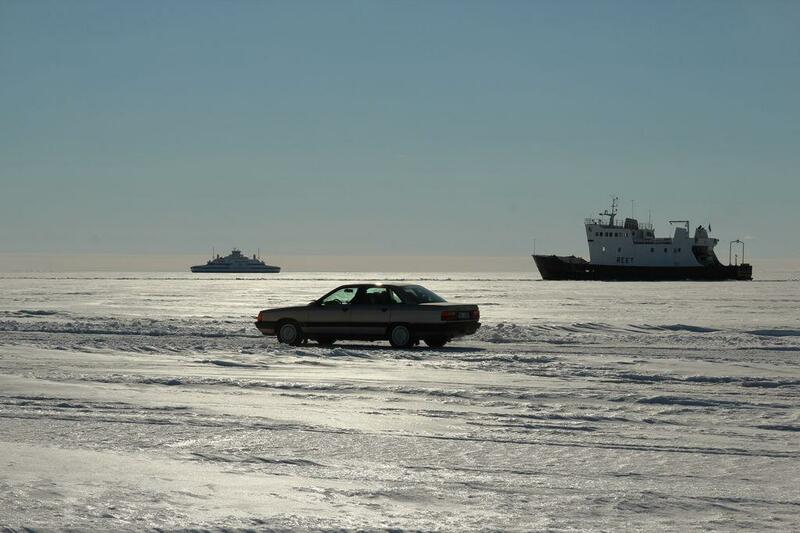 Estonia has several ice roads connecting its islands, including the longest ice road in Europe: 26 kilometers connecting the mainland to Estonia’s second-largest island Hiiumaa. Apparently it’s totally safe to drive on the ice – though apparently you also aren’t supposed to wear a seatbelt in case you need to scramble out of your car really quickly. Eek! 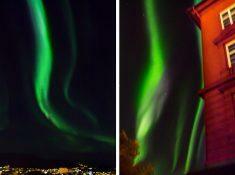 But also, aah I need to experience it! 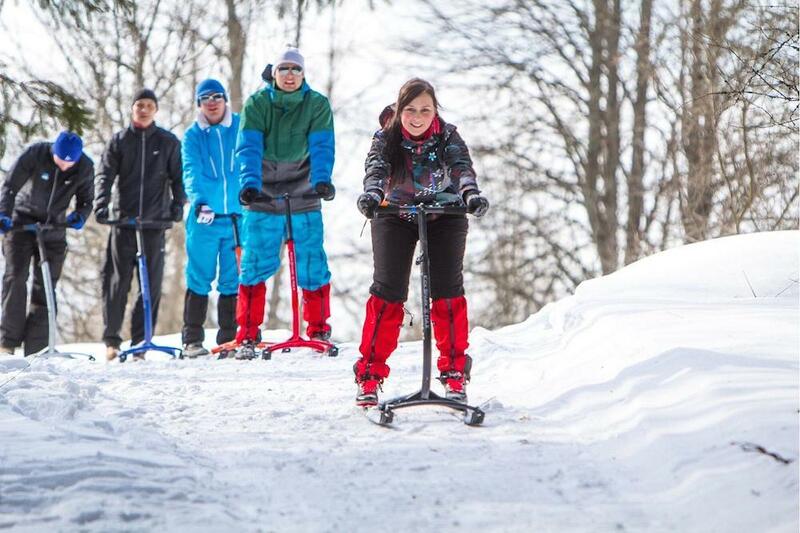 Sometimes I’ll see little old ladies riding kick sleds around Rauland, but apparently in Estonia they’ve made a sport of it. And instead of the old fashioned chair sled that you kick from behind they use an updated version that looks really, really fun. Bucket listed. 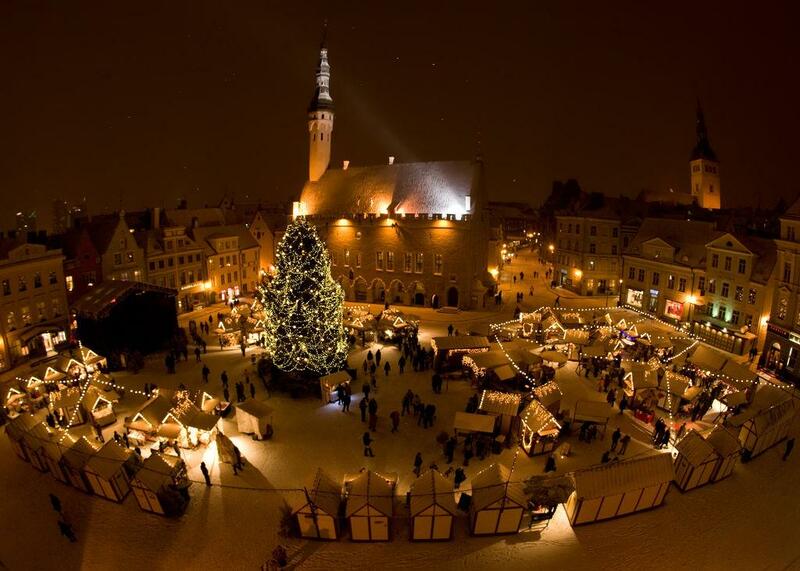 Okay, I know I said that I want to see more of the Estonian countryside, but how magical does Tallinn’s Christmas market look? This post is sponsored by Visit Estonia with photos from their photo bank. 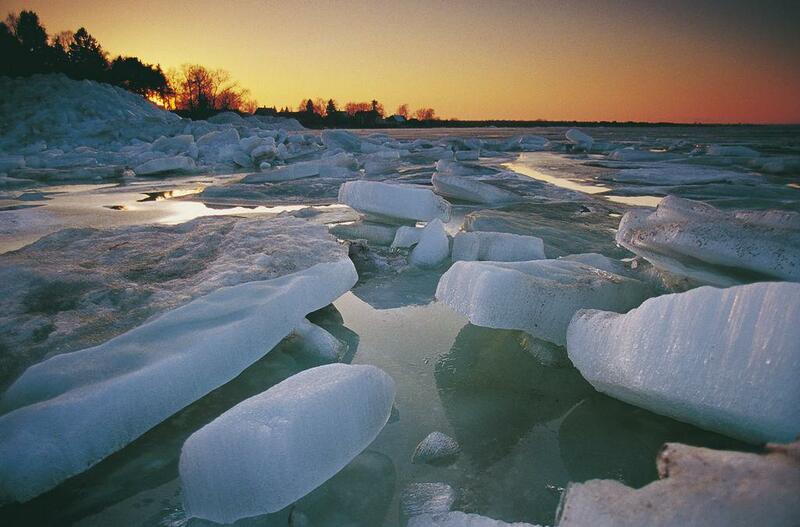 I love those first two pictures of the ice blocks, though I wouldn’t go to Estonia in winter, brrrrrr!!! I went to the Canary Islands last month and I thought it was too cold (3°) to climb to El Teide National park, even though they say it’s a gorgeous desert landscape! Hahaha that video is amazing. I love how he is dancing around in a tiny coat in obviously very cold weather. The pictures look awesome!